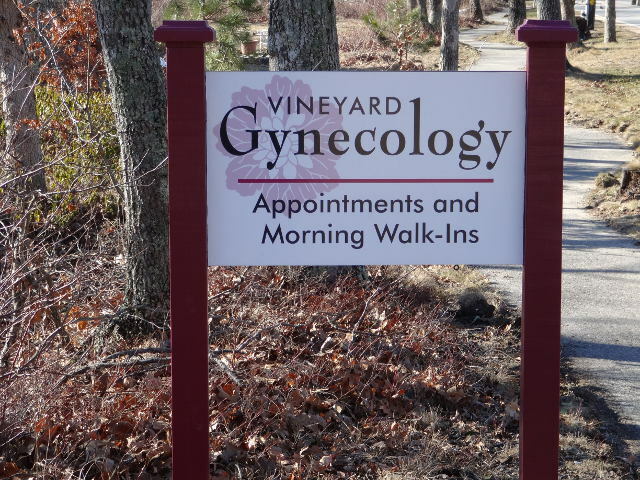 Vineyard Gynecology offers gynecology care including walk-in clinic on Martha's Vineyard. Physician: Terry F. Kriedman, M.D. Dr. Kriedman sees women of all ages, and limits her practice to gynecology. This allows her to be more available to her patients and to spend more time with them. Services offered (among others): well woman (preventative) care, Pap smears, testing for sexually transmitted infections, evaluation of menstrual concerns, PMS, fibroids, evaluation and treatment of urinary incontinence and pelvic organ prolapse, family planning, and menopause related discussion and treatment. Several minor procedures can be done in the office. The office is open Monday through Friday mornings, 9:00 - noon. We encourage patients to call to make appointments, and allot time for those visits. We also take walk-in patients, and especially in the summer season do save time in our schedule for them. We are happy to accept new patients, and take most insurances, including Medicare and Mass Health. Because we are a small practice on an island, we require 48 hour business day notification of appointment cancellation to avoid charges. We are conveniently located on Martha's Vineyard in Vineyard Haven, between the Down Island Cronigs and the Black Dog Café, across from RadioShack. There is plenty of parking available at the office. Dr. Kriedman practiced OB/GYN in Philadelphia before moving to Martha's Vineyard fourteen years ago. She now maintains a gynecology practice in Vineyard Haven and is available for walk-in patients as well as those with scheduled appointments.